IISD Reporting Services, through its ENBOTS Meeting Coverage, is providing daily web coverage of selected side-events from the UN Biodiversity Conference. This event, moderated by Midori Paxton, UNDP, discussed the BES-Net web portal as a capacity-building “network of networks” that promotes dialogue in the science, policy and practice communities for more effective management of biodiversity and ecosystem services, contributing to long-term human wellbeing and sustainable development. Paxton said the portal is an online networking, learning and collaboration platform for policymakers, scientists, knowledge holders and practitioners. 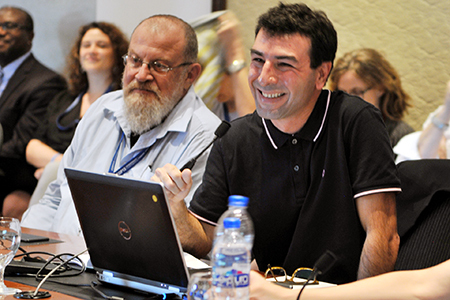 Solène Le Doze, UNDP, identified key features of BES-Net, including: an online forum to share best practice on thematic areas; a “trialogues” feature bringing together scientists, policymakers and practitioners; and updated newsletters highlighting partnerships. 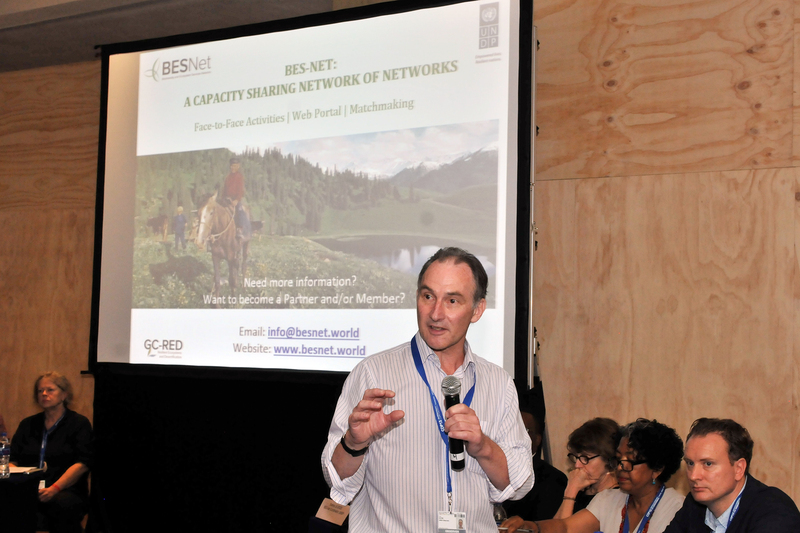 David Duthie, UNDP Consultant, presented BES-Net as “a community of collaborative curators” to navigate information on biodiversity and ecosystem services. Maria Schultz, Director, SwedBio at Stockholm Resilience Centre, underscored the role of the portal in supporting the capacity-building needs of the Intergovernmental Science-Policy Platform on Biodiversity and Ecosystem Services (IPBES) community as well as for practitioner communities. Maria van Berlekom, Swedish International Development Cooperation Agency (SIDA), highlighted the value-added role of the BES-Net web portal in terms of its simplicity, relevant topics, and the series of services and tools it provides in offering a range of entry points for people to engage in biodiversity and ecosystem service knowledge. Elsa Nickel, Federal Ministry for the Environment, Nature Conservation, Building and Nuclear Safety (BMUB), Germany, said the BES-Net “trialogues” will have a three-fold impact in the management of biodiversity of ecosystem services in terms of: providing information on the global thematic assessments of IPBES; disseminating the findings of completed IPBES assessments; and facilitating dialogue between scientists, policymakers and practitioners on specific policy actions for implementation. 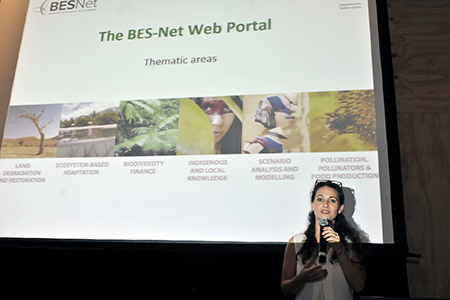 Tone Solhaug, Ministry of Environment, Norway, said the BES-Net web portal would help the Convention on Biological Diversity (CBD) community to understand “who to approach” and “where to get what” for biodiversity and ecosystem services. 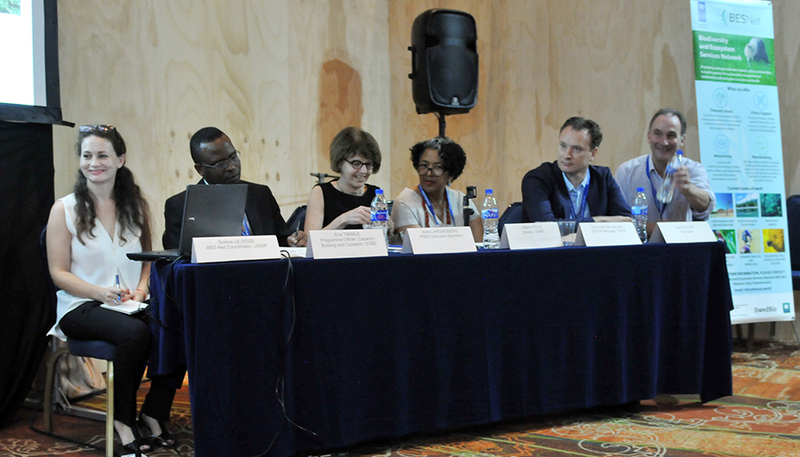 Erie Tamale, CBD Secretariat, underlined the role that the Portal plays in supporting Bio-Bridge Initiative (BBI) to promote technical and scientific collaboration on biodiversity-related technologies and specialized know-how, which is often lacking in developing countries. Anne Larigauderie, Executive Secretary, IPBES, stressed that the BES-Net web portal is a way to “strengthen and amplify” the work of IPBES, especially in terms of capacity building, and noted that the “trialogues” serve as a way to increase uptake of IPBES reports. 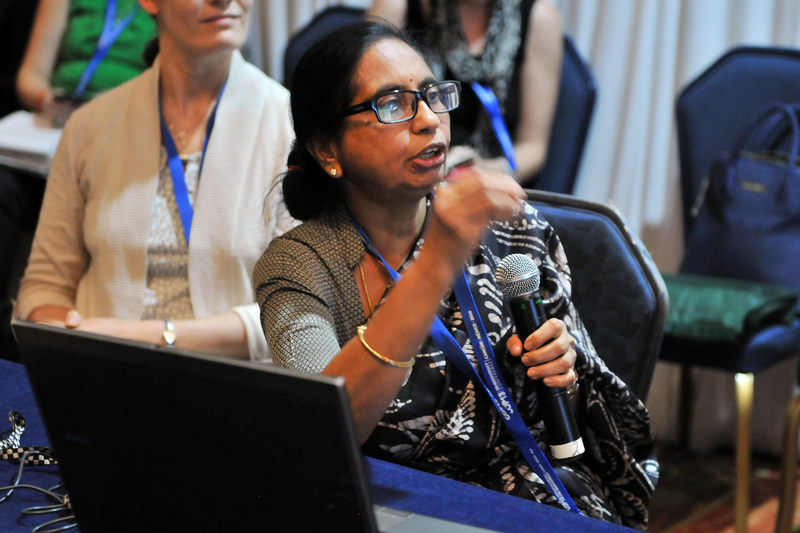 Tanya Abrahamse, South Africa National Biodiversity Institute (SANBI), identified the capacity-building role of the BES-Net web portal as a “two way process” for sharing knowledge and expertise on biodiversity and ecosystem services. 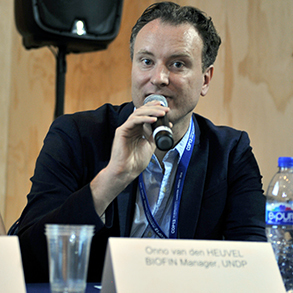 Onno van den Heuvel, UNDP, described the Biodiversity Finance Initiative (BIOFIN) as a global programme to develop new methodologies for biodiversity finance. 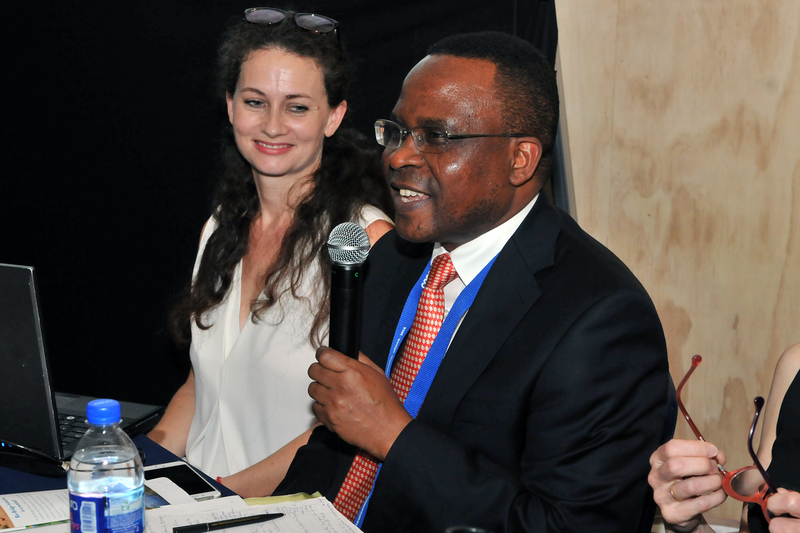 He noted that BIOFIN will offer a separate module on the BES-Net web portal to support countries seeking information on biodiversity finance. 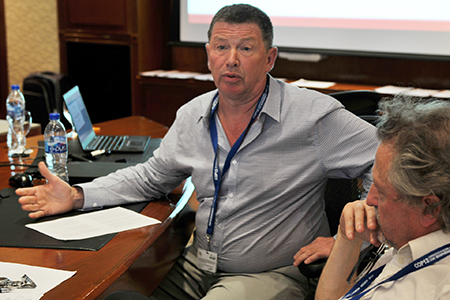 In the discussion, participants identified the importance of incorporating a multilingual dimension to the portal for non-English speaking users. “one-stop-shop” that offers a number of interactive tools for creating networks between practitioners and experts, identifying knowledge gaps, and commissioning policy briefs for biodiversity and ecosystem services. David Duthie, UNDP Consultant, stressed that BES-Net should not be a “dump of information” but a collaborative platform to mainstream biodiversity and ecosystem services for policymakers and practitioners. 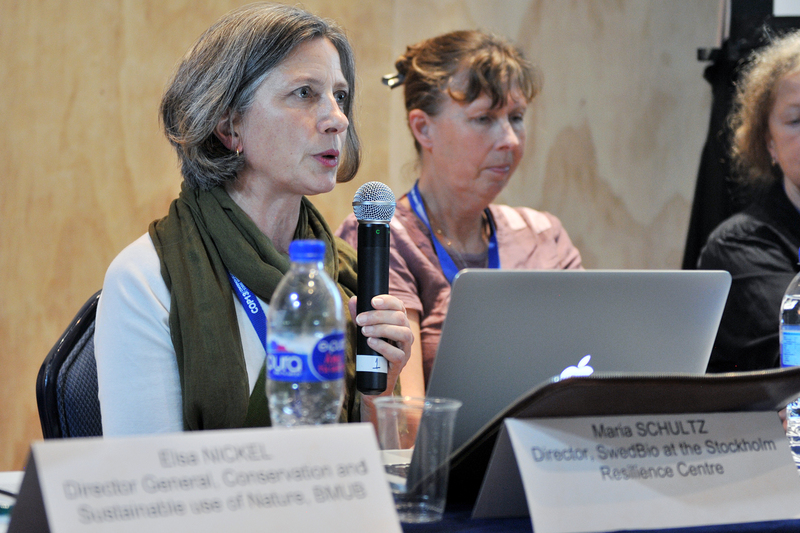 Maria Schultz, Director, SwedBio at Stockholm Resilience Centre, said SwedBio is using the BES-Net web portal to mobilize indigenous and local knowledge for ecosystem service governance. 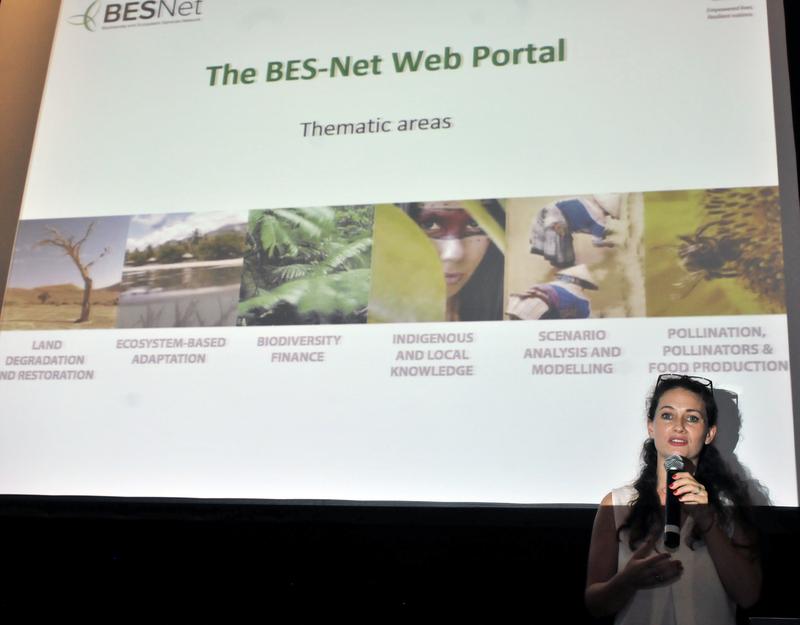 Elsa Nickel, BMUB, encouraged the BES-Net web portal to engage with regional and national initiatives while building synergies to achieve IPBES capacity-building needs. 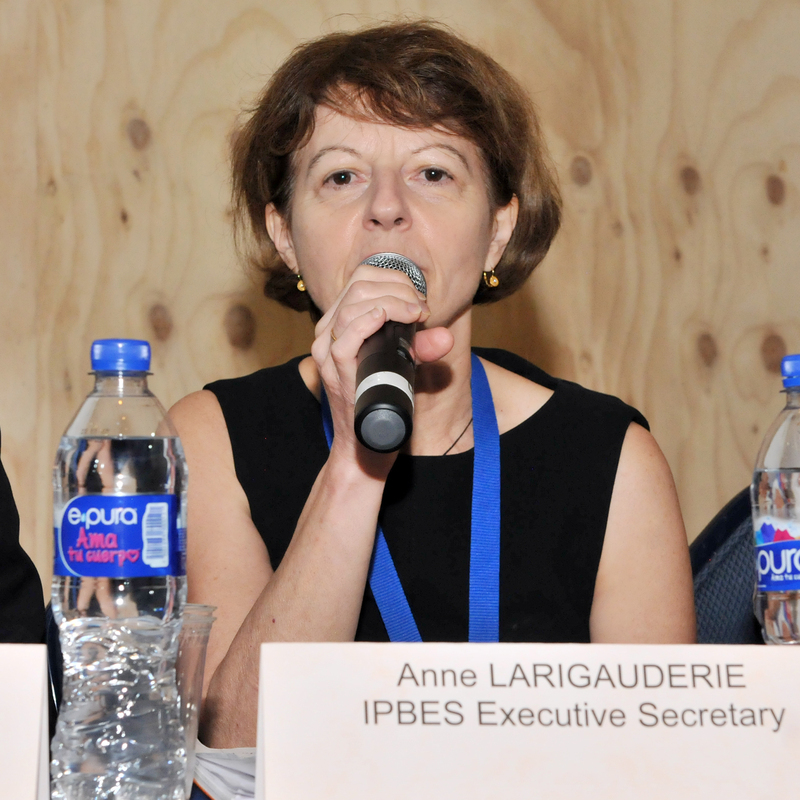 Anne Larigauderie, Executive Secretary, IPBES, said the BES-Net web portal will strengthen national and regional capacities for biodiversity and ecosystem service assessments. Erie Tamale, CBD Secretariat, described synergies between the BES-Net web portal and the BBI in integrating the capacity-building emphasis of the portal with technical cooperation for new biodiversity technologies as promoted by the BBI. 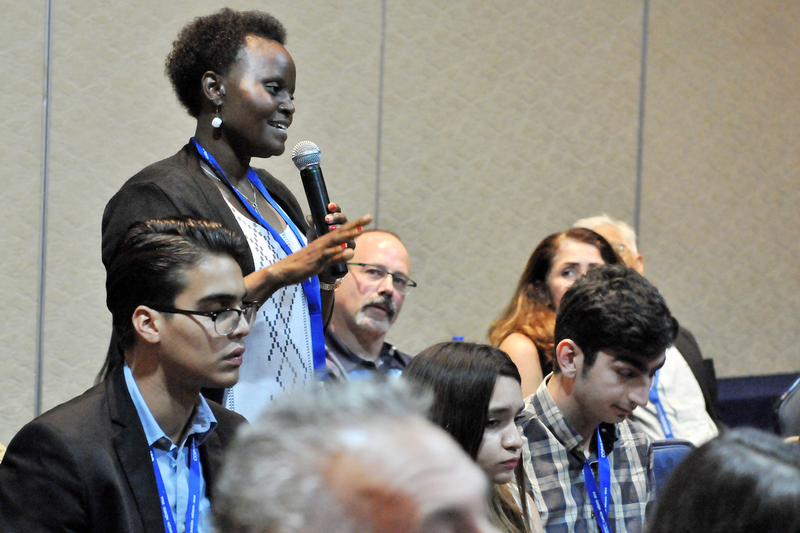 This event, moderated by Yolanda Moreno, BKEI, spoke to the importance of developing environmental consciousness and values to address the world’s pressing environmental problems. 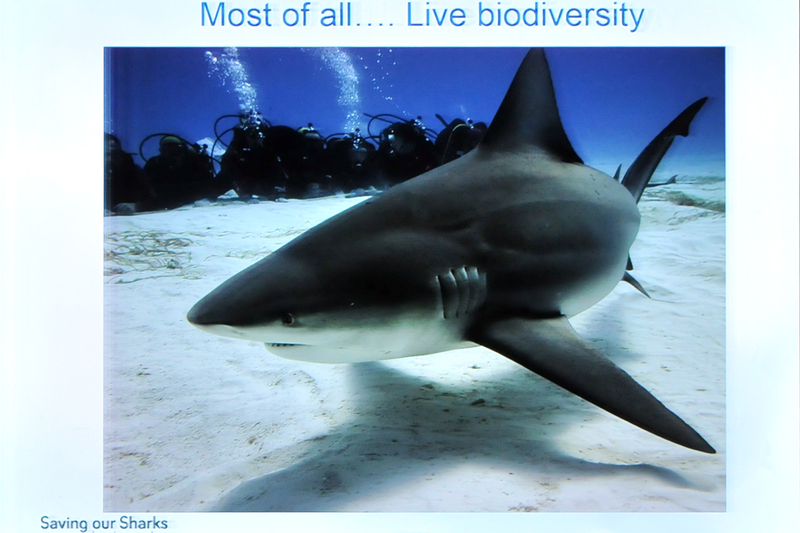 Noting “sharks have the worst public relations in the animal kingdom,” Luis Lombardo Cifuentes, Saving Our Sharks A.C., highlighted results of his organization’s outreach work, including: raising awareness among more than 80,000 children through its environmental education programme; and a discontinuation of the sale of shark products in more than 225 supermarkets and 85 tourist resorts. Katia Cordourier, Eco-Bahía Foundation, noted her organization’s work in protecting marine turtles, the Mesoamerican Barrier Reef and coastal forest land through the promotion of best environmental practices and certification. She said future work would also focus on strengthening the environmental values of children because this will allow them to take more responsibility for their actions. 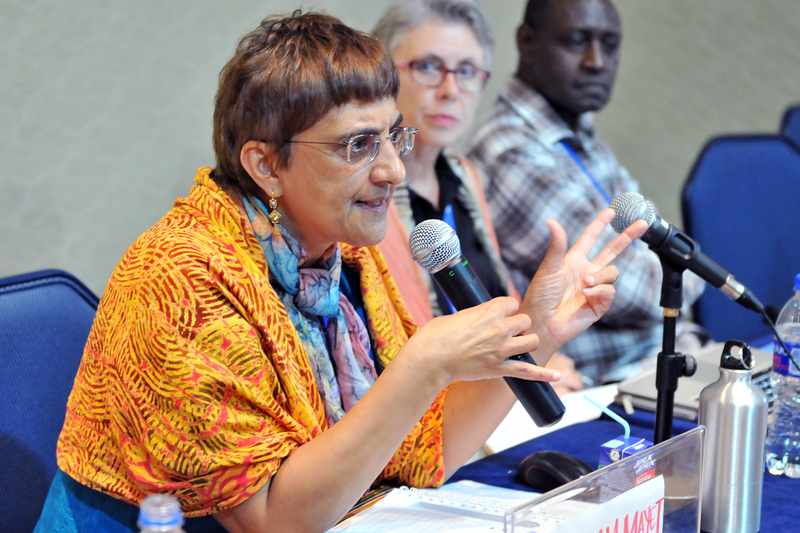 Stressing humankind is at a crossroads, Shailaja Ravindranath, Centre for Environmental Education (CEE), said that her organization seeks to integrate the principles of the Earth Charter into all its initiatives in promoting a sustainable way of life. She stressed achieving a sustainable global society would require respect for nature and universal human rights, economic justice and a culture of peace. Andrea Gutiérrez, BKEI, quoted the Persian poet Rumi, who said “yesterday I was clever, so I wanted to change the world. Today I am wise, so I am changing myself.” She noted five principles suggested by the Brahma Kumaris community in this regard: living with simplicity; buying compassionately; using economically; life-long learning; and being generous. 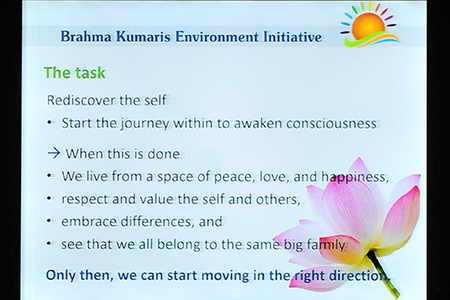 In the discussion, participants discussed: that the best way to engage people is to underline that humans are always connected to nature, the question is “how”; that “we have forgotten that we are nature”; how the international legal system can evolve beyond an anthropocentric approach to allow better manifestation of “mother nature”; and the importance of spreading awareness. This event, moderated by Ernesto Herrera, Reforestamos México, presented progress that has been achieved through public and private sectors in forest and land restoration (FLR) to provide multiple benefits from forests. 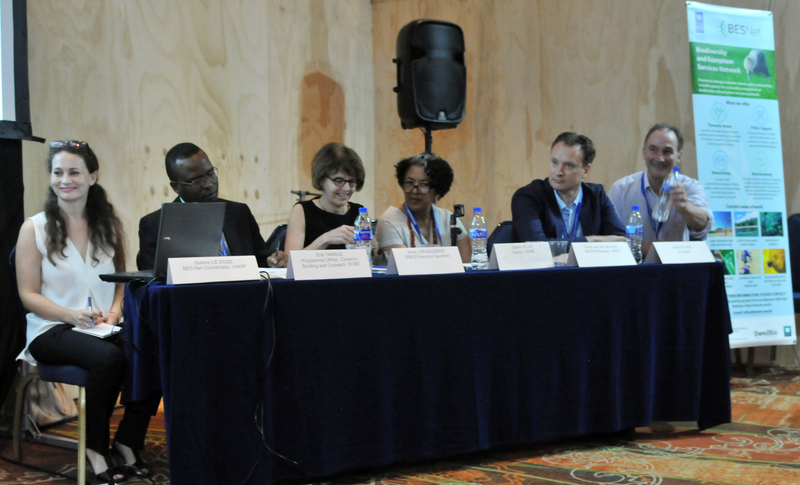 The event focused on ways in which sub-regional governments promote on-the-ground concrete actions and promote short-term sustainable rural development. 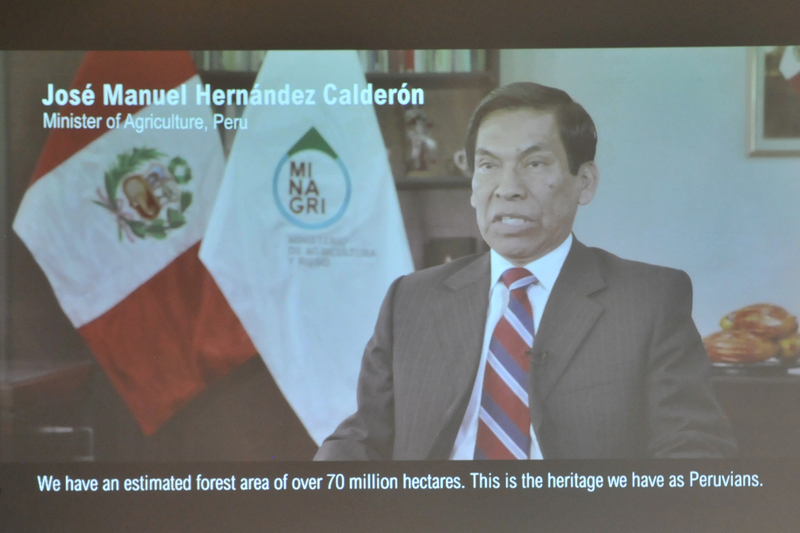 Herrera said successful sub-national forest restoration efforts should be supported by technical and entrepreneurial capacity in order to encourage sustainable yet profitable forest use. 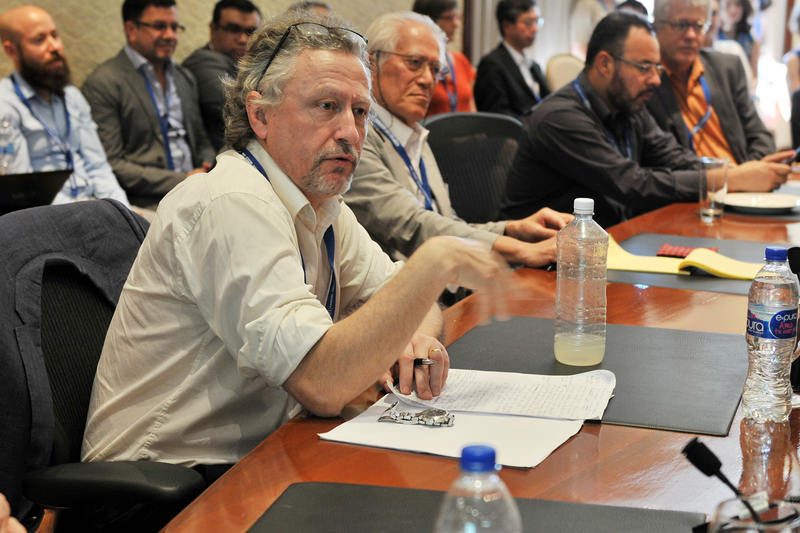 Silvio Simonit, IUCN, Mexico, noted the important role of sub-national governments in meeting the Bonn Challenge to restore 150 million hectares of the world’s deforested and degraded lands by 2020 and 350 million hectares by 2030. 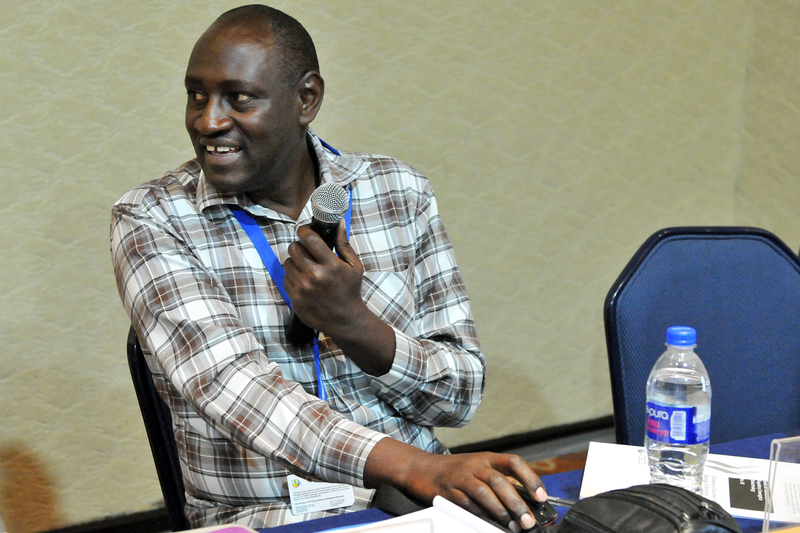 He said FLR approaches can bring together a diverse range of stakeholders to restore the multiple benefits of forests. 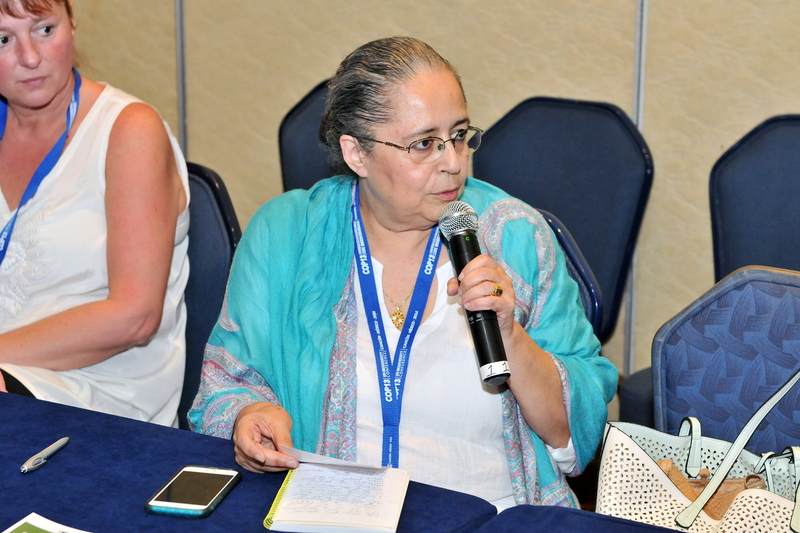 Silvia Llamas, the Governors’ Climate & Forests Task Force (GCF), Mexico, said her organization creates alliances and seeks strategic funding to enable governments to meet forest and land restoration commitments. 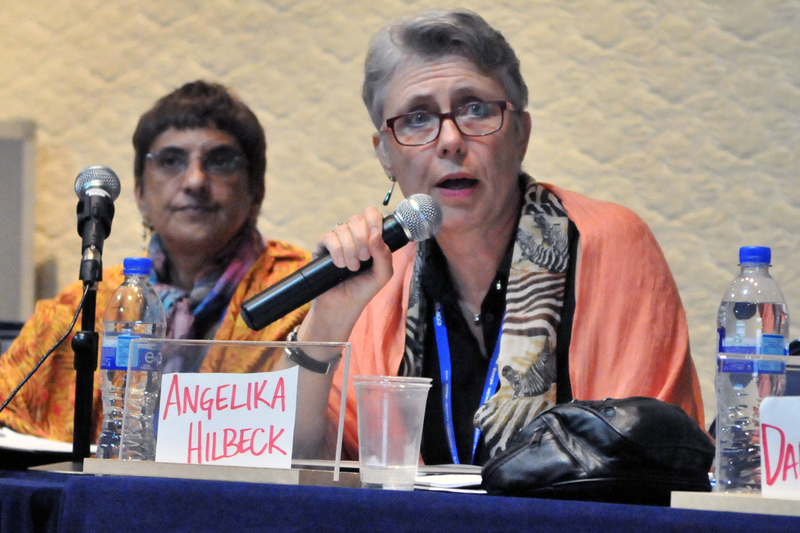 She cited the subnational governance group operating in 38 provinces and states in five countries of the Latin American region. Ulrich Apel, Global Environment Facility (GEF), said his organization began to fund forest initiatives in the fifth replenishment of the GEF (GEF-5) with initiatives, such as the Great Green Wall for the Sahara and the Sahel Initiative. 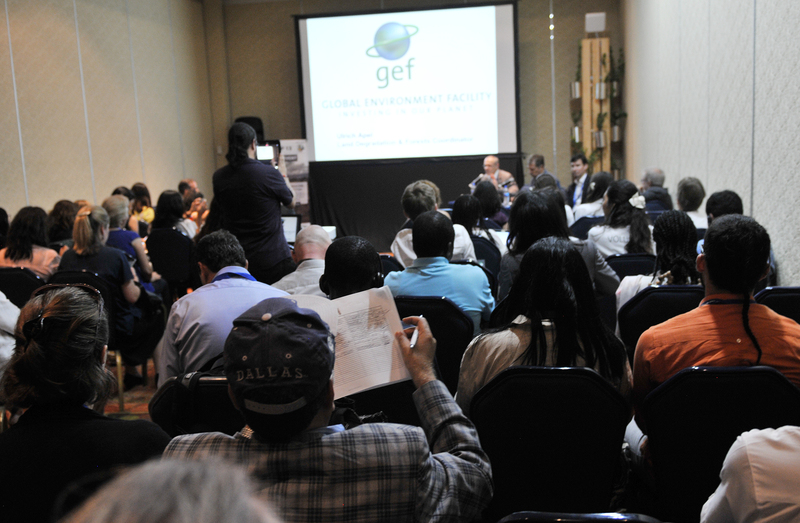 He reported that GEF-6 included forest restoration, with US$300 million dedicated for this. He added that GEF-7 will involve new strategies to support forest restoration where communities are the driving force. 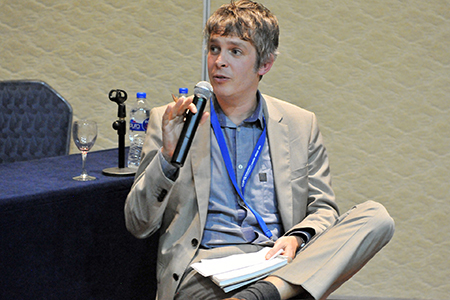 Kaspar Wansleben, Luxembourg Microfinance and Development Fund, discussed innovative financing for the development of secondary and degraded forest management, saying that, unlike agriculture, benefits from the forest sector are longer term and that there is, therefore, a need to build a business model that enhances short-term and mid-term direct benefits for smallholders from forests, with local and regional markets. Alfredo Arellano, Secretariat of State for Ecology and the Environment, Quintana Roo, Mexico, said the Bonn Challenge allows states to have a sustainability vision and includes elements for development of sectoral environmental plans. He said the main challenge is not just halting deforestation but making the forestry sector profitable for communities to improve family economies, while eliminating subsidies in agriculture and livestock that drive deforestation. 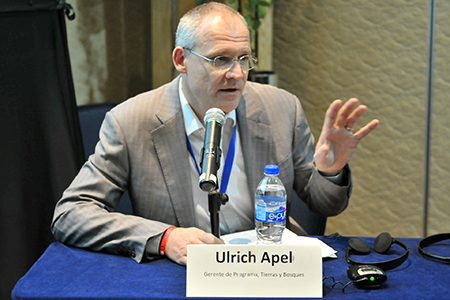 Ulrich Apel, GEF, said the introduction of a non-grant instrument since GEF-6 has enabled private sector funding of up to US$100 million. Alfredo Arellano, Secretary of State for Ecology and the Environment, Quintano Roo, Mexico, said the state is dedicated to commitments made at the twenty-first session of the Conference to the Parties to the UN Framework Convention on Climate Change (UNFCCC COP 21) in Paris, with Campeche and Yucatan states to restore 1 million hectares of forest by 2020 and 2 million by 2030. Kaspar Wansleben, Luxembourg Microfinance and Development Fund, said the forestry sector needs to review its regulations to support profitable smallholder forestry and encourage value chains based on secondary forests. Ernesto Herrera, Reforestamos México, said FLR is expensive and that the private sector has an important role in creating sustainable business models. 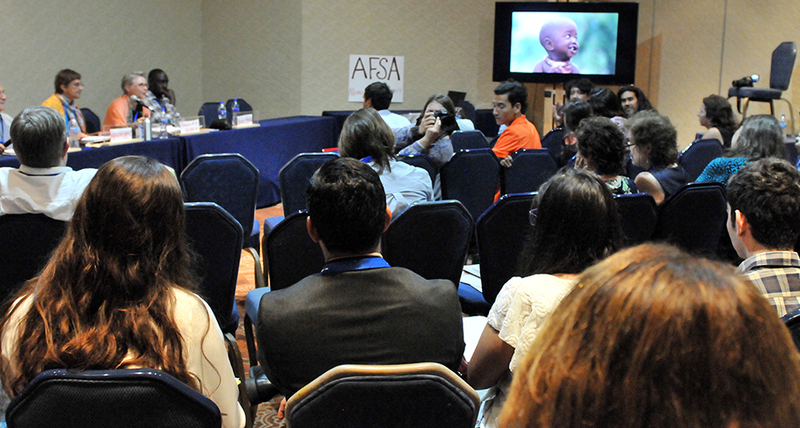 Participants watched the Witness to Restoration: Initiative 20x20 video. This event, chaired by Claudio Chiarolla, World Intellectual Property Organization (WIPO), considered whether tangible and intangible characteristics of genetic resources can be distinguished for ABS. 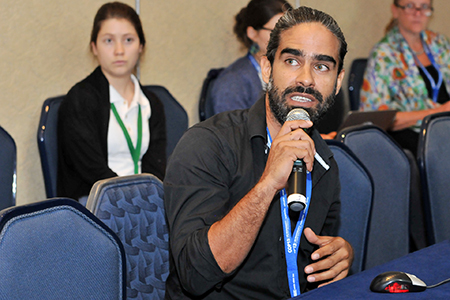 Drawing attention to the definition of genetic resources as material as opposed to natural information, Manuel Ruiz Muller, SPDA, highlighted that benefit sharing from the use of genetic resources is assumed to be equitable and fair. 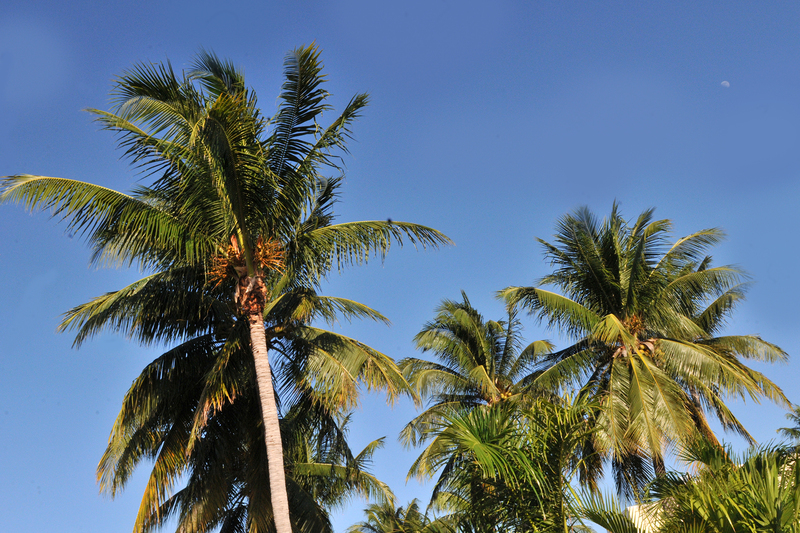 He underscored that royalty payments, governed by rigid confidentiality clauses, are extremely low in comparison to the trillion-dollar industry that engages in the commercial use of biodiversity. 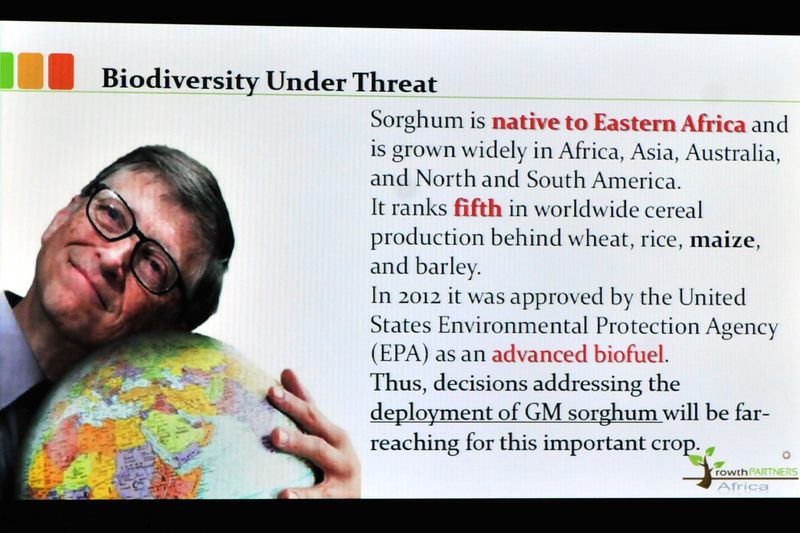 Muller underlined that fairness and equity cannot be achieved as long as the understanding of genetic resources is limited to material. 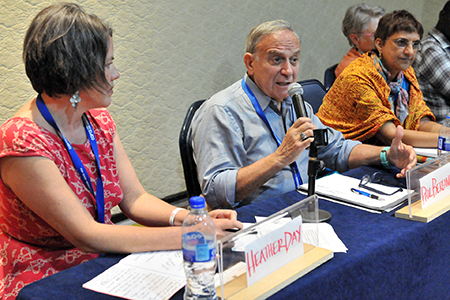 Reiterating the foundational error is the definition of genetic resources as material, Joseph Henry Vogel, University of Puerto Rico at Rio Piedras, spoke on the economics of genetic resources, and defined genetic resources for ABS as natural information, which is expensive to conserve but cheap to access. He called for leadership in the sharing of benefits, which considers bounded openness as a low-hanging fruit that can halt biodiversity decline. Klaus Angerer, Justus Liebig University, Giessen, highlighted several concerns related to the case of the poison frog from Ecuador, whose skin was used to determine the compound structure of the alkaloid epibatidine, including the non-contractual nature of the collaboration between the scientists and the pharmaceutical involved. 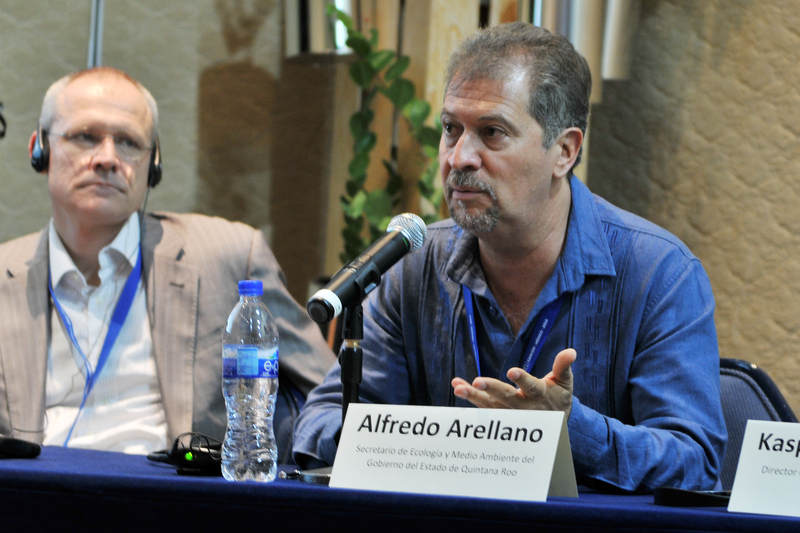 He also highlighted problems related to “forum shopping” of transboundary resources, noting that when the Convention on International Trade in Endangered Species of Wild Fauna and Flora (CITES) listed the Ecuadorian frog, the scientists found other frogs with similar genes in Madagascar. He underscored that bounded openness could have addressed the concerns posed by the question of preserving natural information for future use, as well as issues regarding sharing non-monetary benefits. 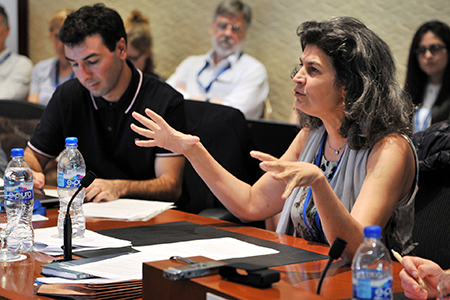 Calling for a middle-ground model for monetizing genetic resources while avoiding the extremes of “hyperownership” and “free access,” Sabrina Safrin, Rutgers University, outlined that this model should: concentrate on collecting royalties from patents and trade secrets; define genetic resources as natural information; only allow for small payouts; assure users of the advantages of conservation; and be tied to green certification schemes. 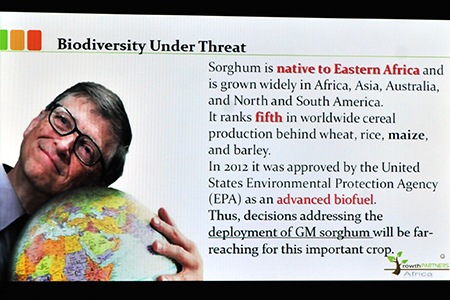 She also suggested an alternative model in which the state could tailor ownership of genetic resources. In the ensuing discussion, participants considered, inter alia: the checks and balances that can be implemented to protect both users and providers; the application of royalty payments that is eroding the value of gene diversity; types of payment triggers; the importance of tailoring ABS to future realities in economics and administration; and the point along the supply chain where payments would be made. Klaus Angerer, Justus Liebig University, Giessen, underlined that bounded openness could do justice to both users and providers, and reverse the burden of ABS, facilitating access to genetic resources particularly in the early stage of research and development and ensuring that benefits are shared in the unlikely case of commercial success. 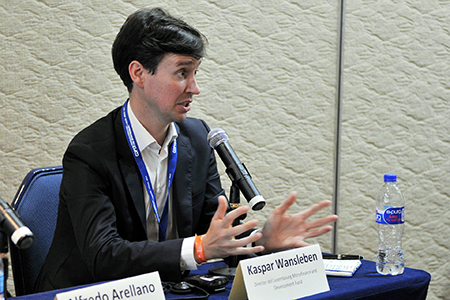 Claudio Chiarolla, WIPO, moderated the event, and highlighted the need for action-oriented discussions to address the challenges posed by uncertainty in sharing both monetary and non-monetary benefits. 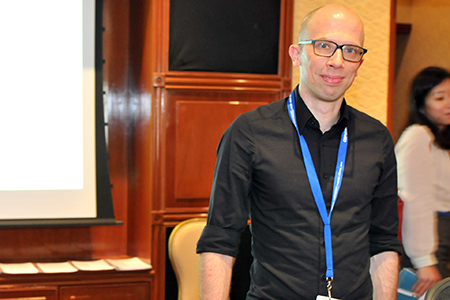 Joseph Henry Vogel, University of Puerto Rico at Rio Piedras, drew attention to the simplicity behind aligning incentives among users and providers, but noted the challenges in addressing the fundamental issues due to the definition of genetic resources as material. 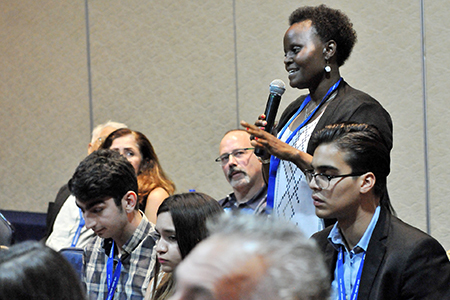 Sabrina Safrin, Rutgers University, highlighted options for monetizing genetic resources, including a closed model based on sovereignty, a model under which access to genetic resources is open, and one under which access is open but not free. Graham Dutfield, University of Leeds, stressed that the definition of genetic resources as “functional material units” is not agreed, highlighting that these resources are “hybrid objects” that could overlap or be embedded within each other. 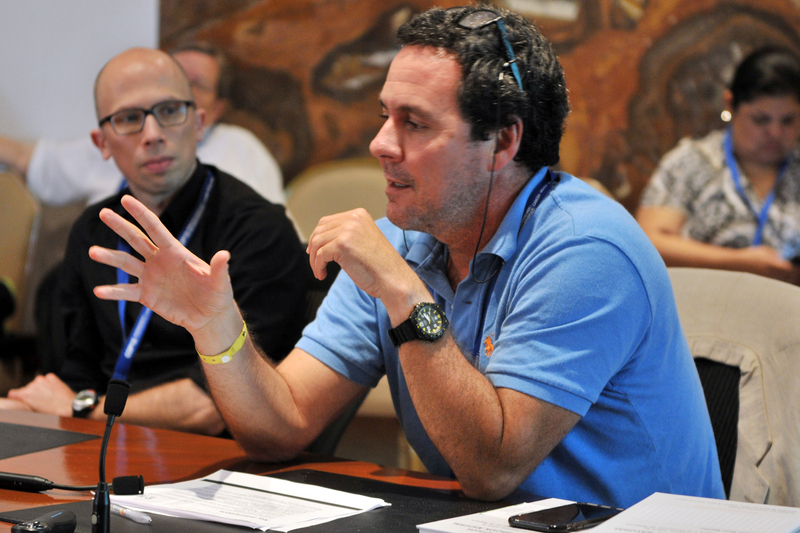 Manuel Ruiz Muller, SPDA, noted that many of the challenges concerning ABS have been discussed for over 20 years. 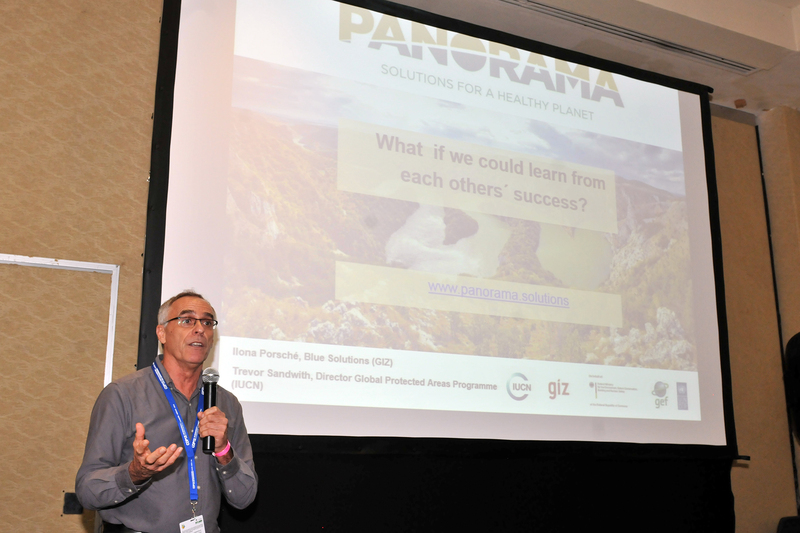 This event, moderated by Christian Neumann, GRID-Arendal, introduced the PANORAMA partnership, which documents and promotes replicable solutions across a range of conservation and development topics. 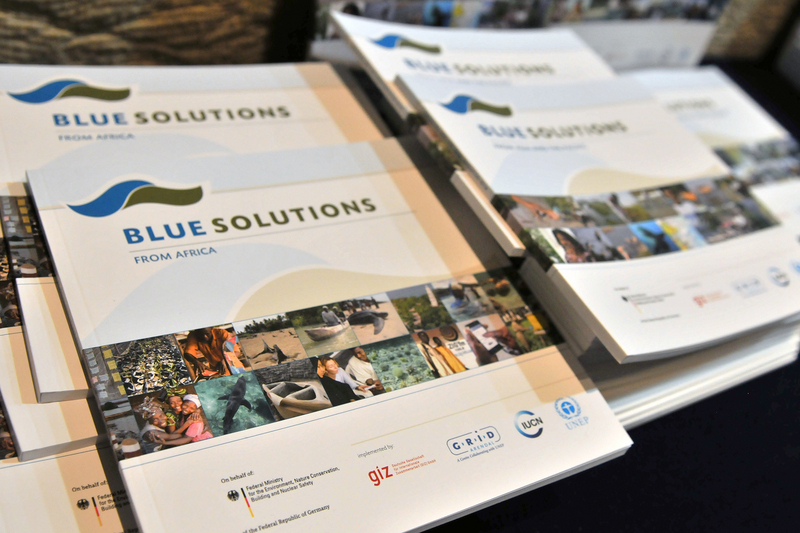 Highlighting her country’s support for the platform, Elsa Nickel, Federal Ministry for the Environment, Nature Conservation, Building and Nuclear Safety, Germany (BMUB), welcomed that over 250 institutions have already contributed solutions. She noted the importance of reflecting what does not, as well as what does work. 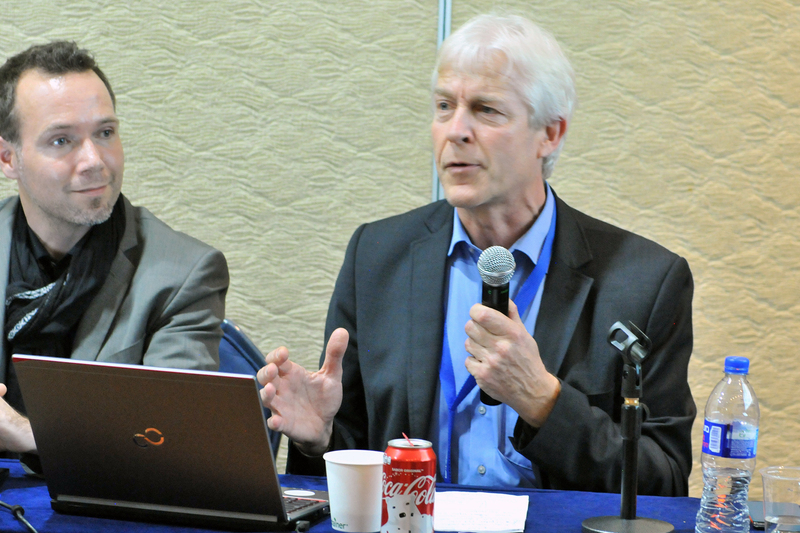 Claude Gascon, Global Environment Facility (GEF), noted that this knowledge-sharing approach requires far less resources than replicating projects, but equally has the potential to disseminate successes more widely. 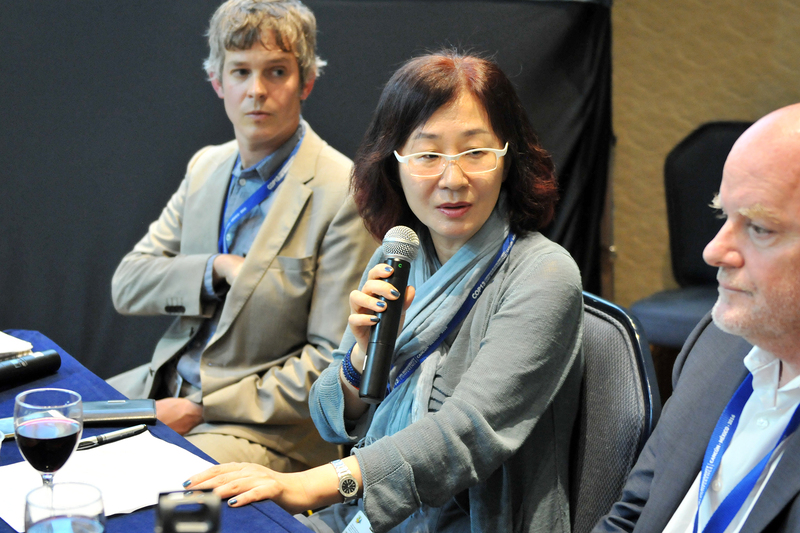 Jihyun Lee, Convention on Biological Diversity (CBD) Secretariat, expressed confidence the PANORAMA platform would provide creative solutions. 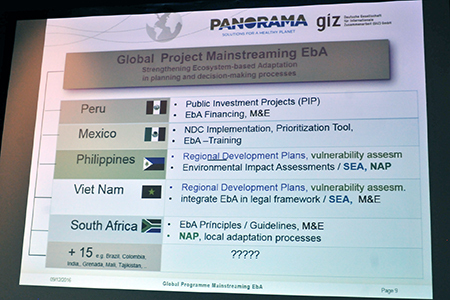 Mathias Bertram, GIZ, provided a “tour” of the PANORAMA website, highlighting its three current thematic portals on protected areas solutions, marine and coastal solutions, and ecosystem-based adaptation (EbA) solutions. He noted various functions to search for solutions, including through a geographical map, and possibilities to contribute a more detailed and “full” solution, or a shorter, “snapshot” solution. Ilona Porsché, GIZ, highlighted one of PANORAMA’s key goals is to allow participants to distill key success factors and a strategic plan and to scale up solutions. She noted additional outputs of the project, such as newsletters, publications, social media and webinars. Arno Sckeyde, GIZ, recounted his organization’s experiences as the EbA portal host. He noted that in the past, studies of projects might “sit and collect dust,” but that the PANORAMA platform provides an “intelligent tool” that allows solutions to be shared widely. Various “solution providers” then shared experiences with the PANORAMA platform. 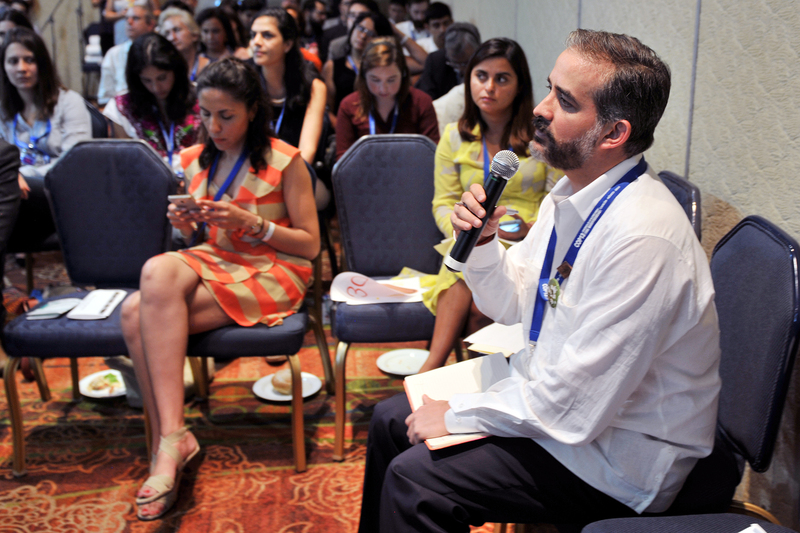 Erick Ross Salazar, MarViva Foundation, noted that contributing to the platform had provided his organization with an opportunity to consider its approach and yielded insights on how to involve communities. 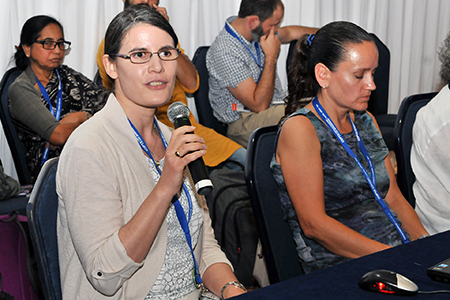 Elisa López, Mexican Fund for the Conservation of Nature, welcomed the project’s “building blocks” approach, noting it had allowed four countries working on the Mesoamerican Reef region to share solutions and ideas. 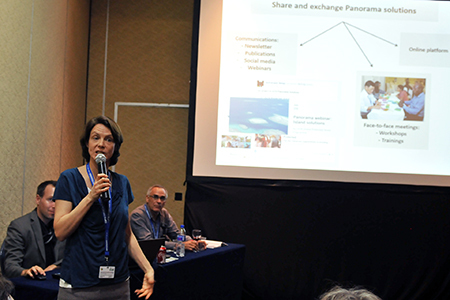 Jessica Robbins, Global Island Partnership, said PANORAMA was helping her organization to enhance its profile. Natalie Rodríguez Dowdell, Rare, invited “those who want to feel inspired” to browse the PANORAMA website. 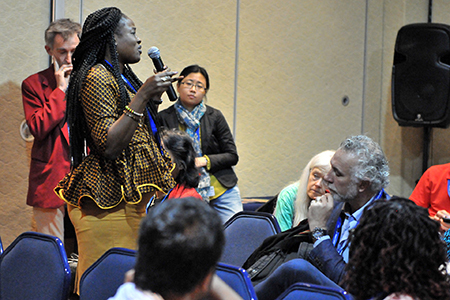 In the discussion, participants raised, inter alia: concerns about how solutions are vetted given that some community members may have different experiences but no opportunity to express them; how to ensure a project is replicable in a certain context; and opportunities for linking with other initiatives. Jihyun Lee, CBD Secretariat, highlighted communication as key, and expressed hope that PANORAMA would be able to reach out to all citizens on biodiversity solutions, including marine biodiversity. 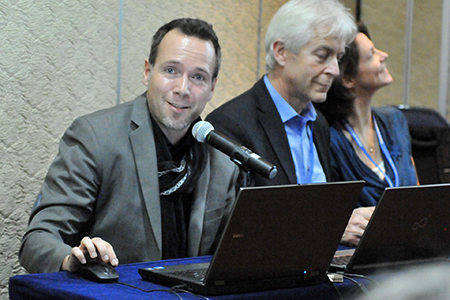 Christian Neumann, GRID-Arendal, moderated the event. 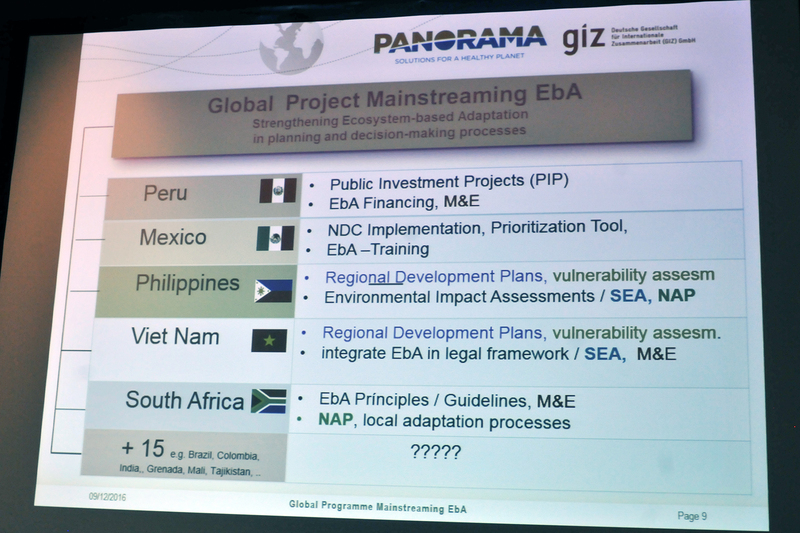 Mathias Bertram, GIZ, highlighted different functions of the PANORAMA website. 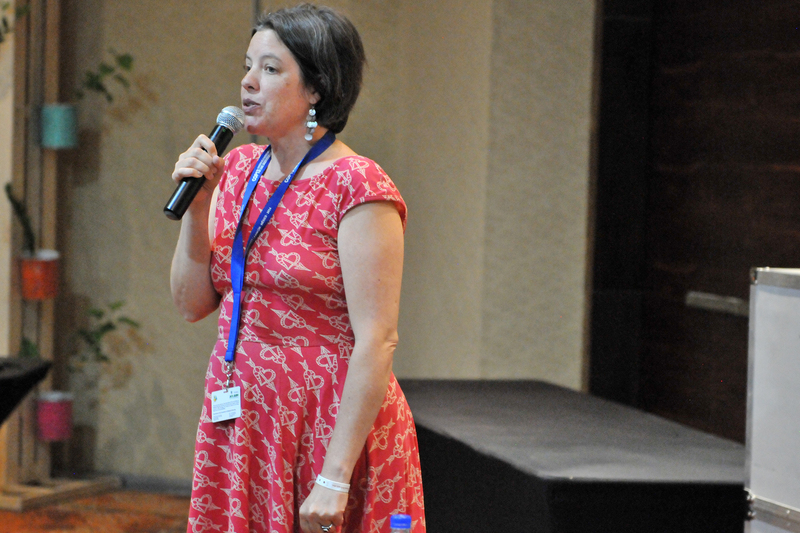 Ilona Porsché, GIZ, noted an additional thematic portal in 2017 would focus on forests. Trevor Sandwith, IUCN, said the “scope, breadth and depth” of solutions shared on the PANORAMA platform could yield very valuable outcomes. Mariam Mayet, Executive Director, African Centre for Biodiversity, argued that the Gates Foundation-funded “green revolution” is altering farming, seed systems and agricultural practices by dislodging traditional farming systems towards corporate seeds with strong intellectual property rights protection. 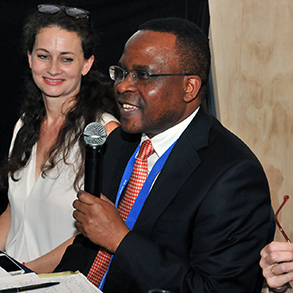 Daniel Maingi, Growth Partners Africa, said that preserving rights to “our seeds and soils” is the key to food security in Africa. 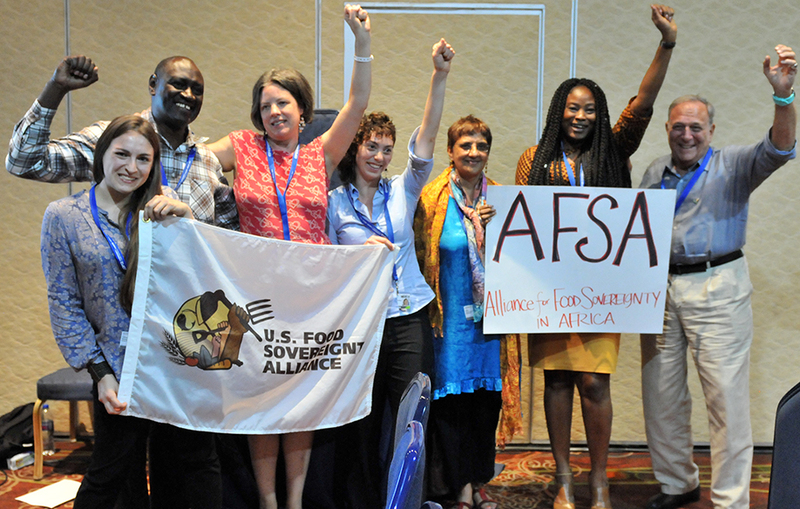 Philip Bereano, WashBAC, emphasized that high-tech, profit-driven, industrialized agriculture will not address food security in Africa. Group photo at the end of the event. The Earth Negotiations Bulletin on the Side (ENBOTS) © enb@iisd.org is a special publication of the International Institute for Sustainable Development (IISD). This issue has been written by Tallash Kantai, Vijay Krishnan Kolinjivadi, Ph.D., Dorothy Wanja Nyingi, Ph.D., and Cleo Verkuijl. The Digital Editor is Diego Noguera. The Editor is Leila Mead leila@iisd.org. The Director of IISD Reporting Services is Langston James “Kimo” Goree VI kimo@iisd.org. 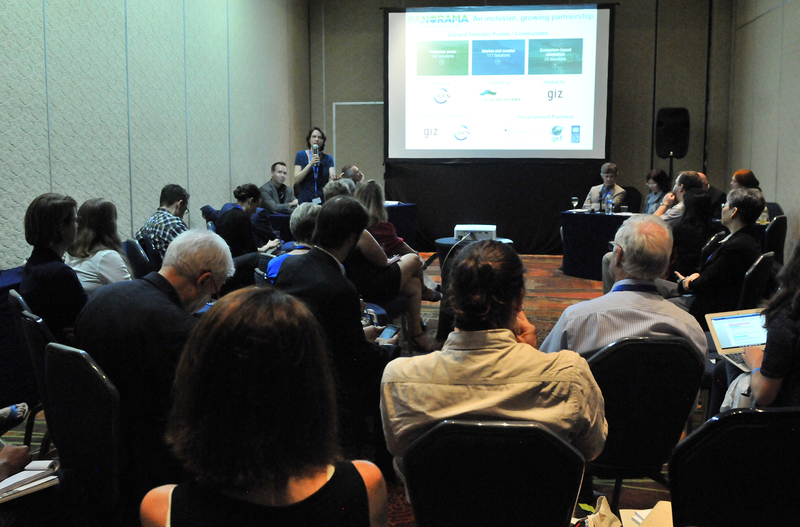 Specific funding for coverage of selected side events from the UN Biodiversity Conference has been provided by the Secretariat of Environment and Natural Resources of Mexico (SEMARNAT). The opinions expressed in ENBOTS are those of the authors and do not necessarily reflect the views of IISD and funders. Excerpts from ENBOTS may be used in non-commercial publications only with appropriate academic citation. For permission to use this material in commercial publications, contact the Director of IISD Reporting Services at kimo@iisd.org. 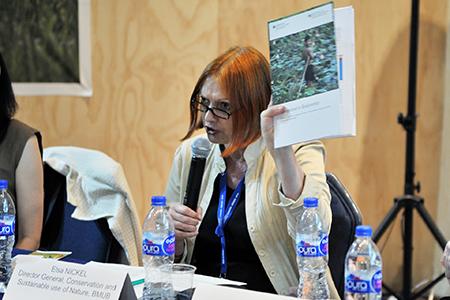 Electronic versions of issues of ENBOTS from the UN Biodiversity Conference can be found on the IISD Reporting Services website at http://enb.iisd.org/biodiv/cop13/enbots/. The ENBOTS Team at the UN Biodiversity Conference can be contacted by e-mail at tallash@iisd.org. 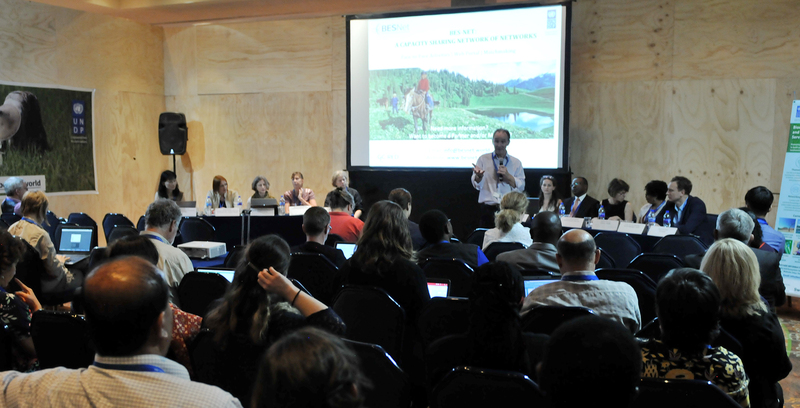 Specific funding for coverage of selected side events from the UN Biodiversity Conference has been provided by the National Commission for Knowledge and Use of Biodiversity (CONABIO).